The 346-page field guide—co-authored by Dr. Ed Murdy of the National Science Foundation—describes all of the Bay’s native and introduced fishes, with detailed information about their key features, habitat, range, reproduction, food habits, occurrence in the Bay, and importance to fisheries. It opens with an in-depth description of the Bay’s watershed and history, and includes an illustrated key to fish morphology. 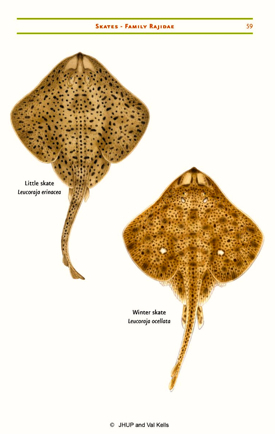 Detailed species keys, a glossary, and an index aid identification of all 211 species found between the Bay’s headwaters and its mouth at the Atlantic. The species descriptions are accompanied by 227 full-color illustrations by Val Kells, a noted marine science illustrator whose previous work includes A Field Guide to Coastal Fishes: from Maine to Texas. The VIMS Fish Collection—established in 1951—now contains approximately 20,000 cataloged lots of fishes comprising 128,000 specimens in 247 families. Individuals and institutions around the world use the collection for research, education, and training. 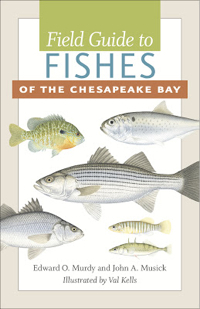 Early praise for the book comes from Dennis Doyle of Bay Weekly, who writes "This work is a must have for anglers, naturalists, scientists, outdoors people and anyone who just loves the Chesapeake Bay. Authors (and scientists) Murdy and Musick should be congratulated for such a comprehensive effort and the illustrations of artist Val Kells are nothing short of extraordinary." Field Guide to Fishes of the Chesapeake Bay is available for online ordering through the publisher and major book retailers, and will be available through the VIMS Gift Shop in the near future.